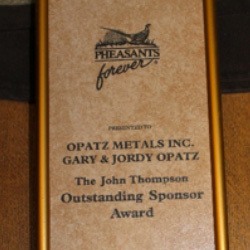 Opatz Metals and Rolloffs maintains an active role in the local community, as well as extending efforts throughout all of Central Minnesota. 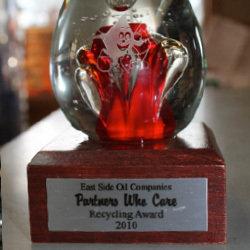 Our involvements include: Holdingford Commercial Club, American Legion, Lions Club Member, assisting with Holdingford Daze and Holdingford Car Show, Members of Pheasants Forever, Ducks Unlimited, Deer Hunters Association, involvement in local parades and provides various recycling programs. Gary is a retired Holdingford Volunteer Fire Department member who has 21 years’ of service. 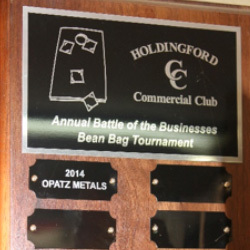 Opatz Metals and Rolloffs also took 1st place in the Annual Battle of the Businesses Bean Bag Tournament the first year the Holdingford Commercial Club hosted this event. Opatz Metals and Rolloffs also believes in reaching out to the local community by investing in higher education. We donate scholarships to students at local schools because we believe that younger generations are the future of America.